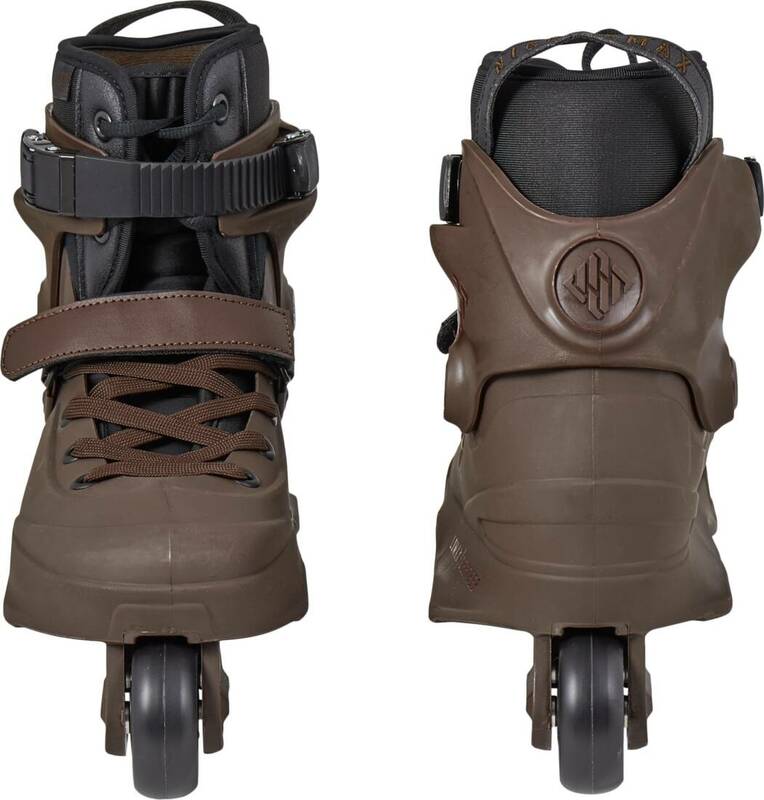 This mellow brown edition of the USD Aeon Pro aggressive inline skate is a tribute to their team rider Nick Lomax. With the heat moldable MyFit Skinny Boy Dual fit liner for a close fitting with very little volume and no pressure points. Furthermore, the Dual Fit liner covers two shoe sizes so sizing issues are a thing of the past. 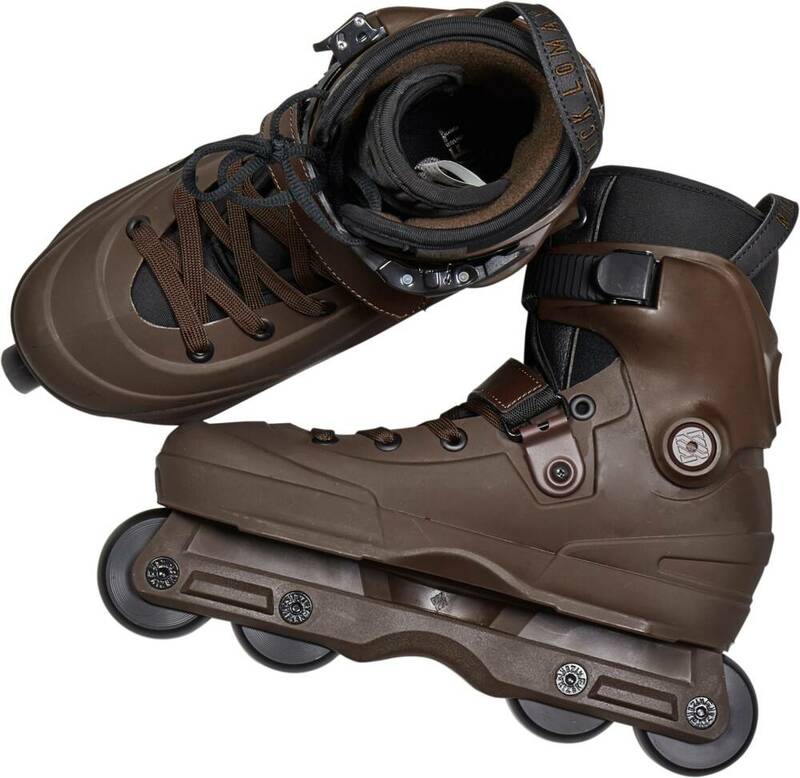 Aeon is a very low aggressive skate, very lightweight. 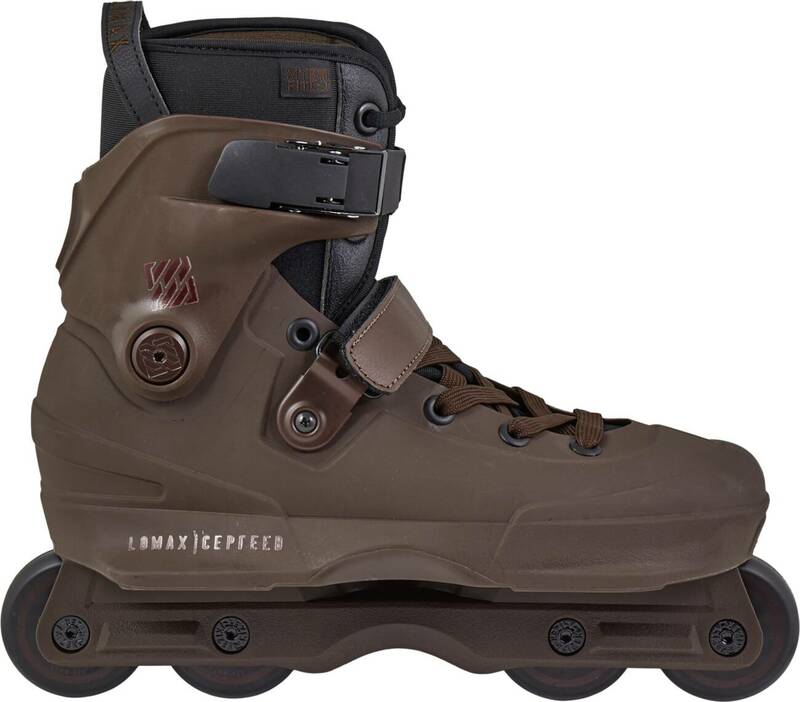 The flat setup enables perfect control, giving all the benefits of a low center of gravity. Unibody construction, one-piece shell, soulplate, and frame.